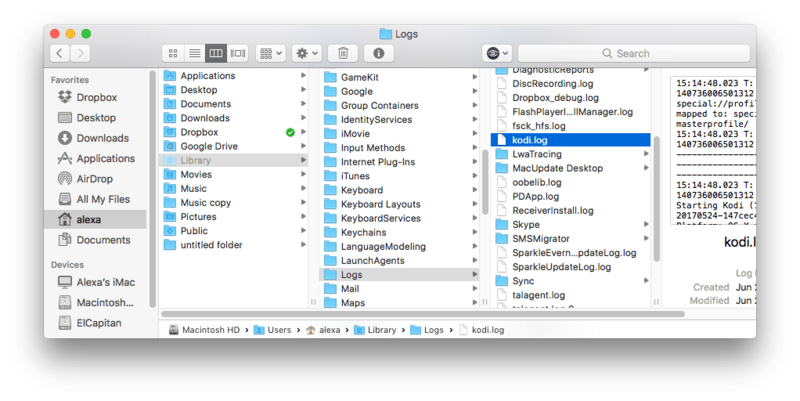 If you lack free memory space, you may need to clean up your Mac. Uninstalling some apps completely, including Kodi, is one of the ways to free up HD memory. It should be mentioned that Kodi is a new version of the XBMC app, which had a rebranding in the past. In one of our previous articles, we explained how to uninstall XBMC from Mac. Today we would like to have a look at the new version of the program and tell you how to completely and correctly remove Kodi. Uninstall Kodi using a quick removal tool. 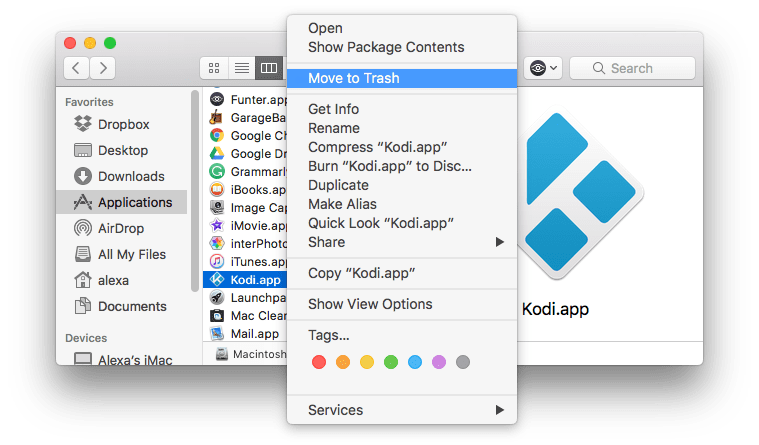 Go to Application folder in the Finder and move Kodi app to Trash with a context menu. That’s why we recommend using professional removal tools such as App Cleaner & Uninstaller, for completely uninstalling any app and absolutely removing all remains. Move to the next section of this article to learn more about it. 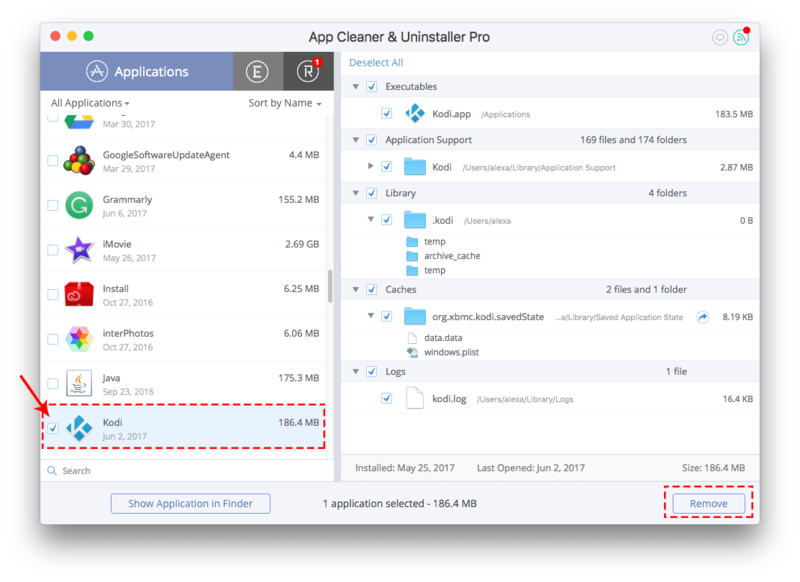 App Cleaner & Uninstaller is a program that allows you to remove applications on Mac entirely and correctly. Run the program to start scanning the Application folder. Find Kodi in the list of apps → Select it → click the Remove button. If you have removed Kodi before, you can find its service files in the Remains tab of App Cleaner and easily remove them together with all other unneeded leftovers of previously deleted apps.